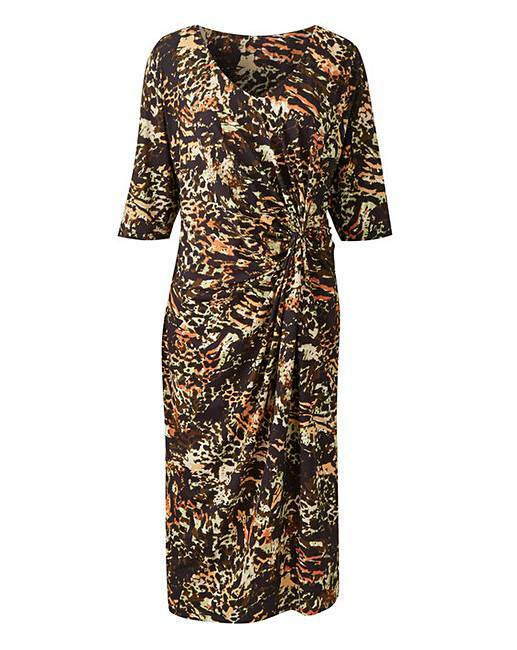 Multi Animal Print Twist Knot Dress is rated 4.5 out of 5 by 4. Give your wardrobe a fresh new look and get ready to flaunt that fabulous figure as you slip on this gorgeous twist knot dress. Expertly designed to enhance your curves and sculpt your silhouette, this twist front dress features intelligent knot detailing to the waist to help create the illusion of the perfect hourglass. 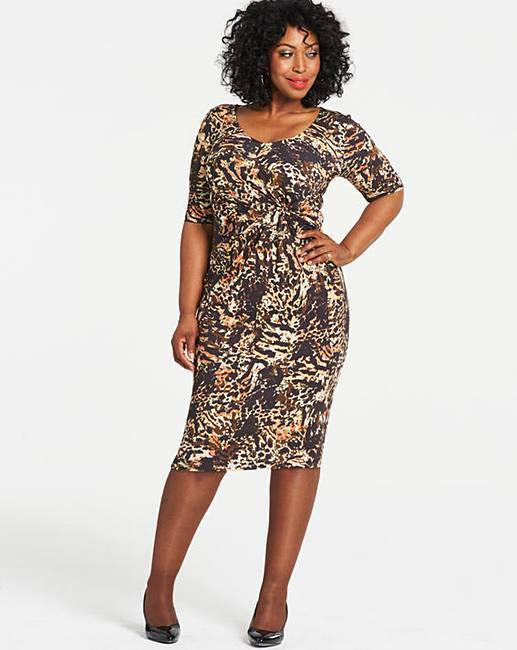 In a stylish multi animal print, this dress boasts a classic round neckline and is made from jersey fabric combining style and comfort in one. To complete the look just pair with your favourite heels and you're good to go! Rated 4 out of 5 by Sue from Good fit , feels comfortable Good fit , comfortable , good length . Not sure I’d actually describe it as animal print but it’s nice .